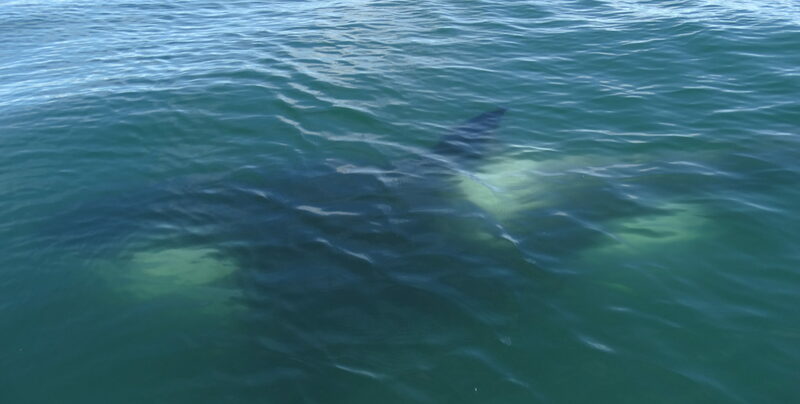 Orca Right Under My Boat! Crazy Good Birthday at Majestic View Bed and Breakfast / Majestic View Adventures. We witnessed this Orca following the shore in less than ten feet of water. I ran up ahead 100 yards and parked the boat – hoping that he would continue on his line, and sure enough, he did. He went RIGHT UNDER MY BOAT, and Gary was ready to get the perfect shot. What a thrill!!! 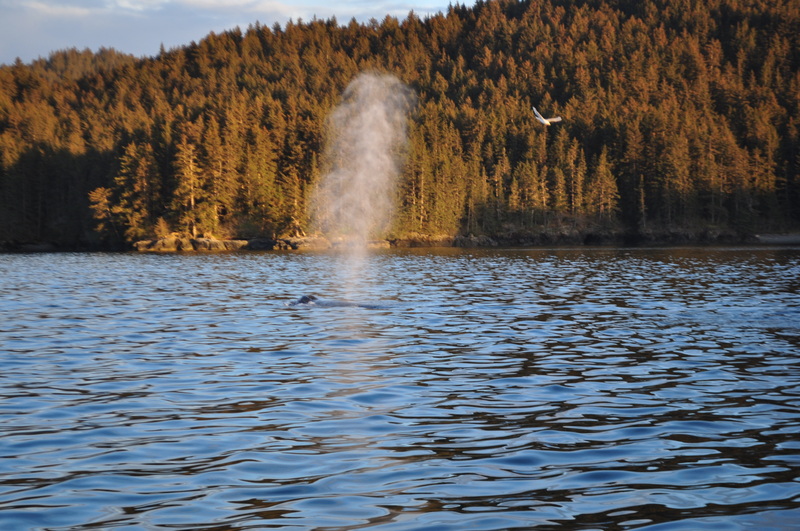 Humpback whale spouting about 10:30 pm. Headed home to the Homer Spit and Harbor, 11:10 pm. 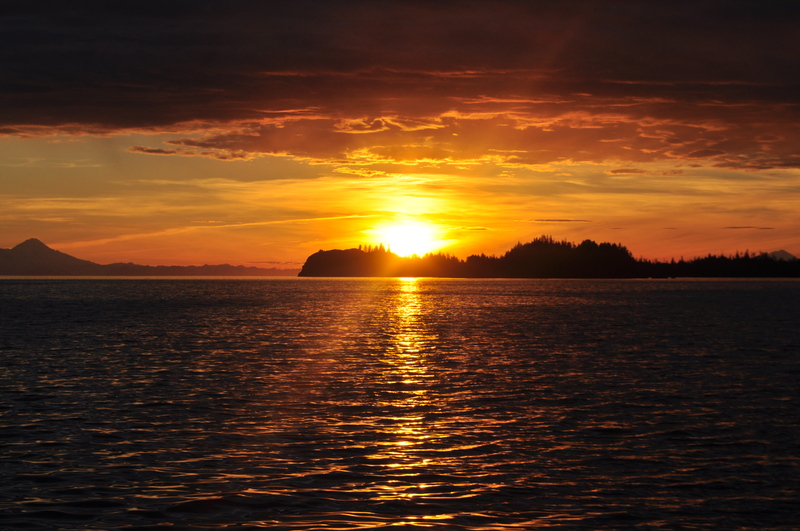 Land of the midnight sun. 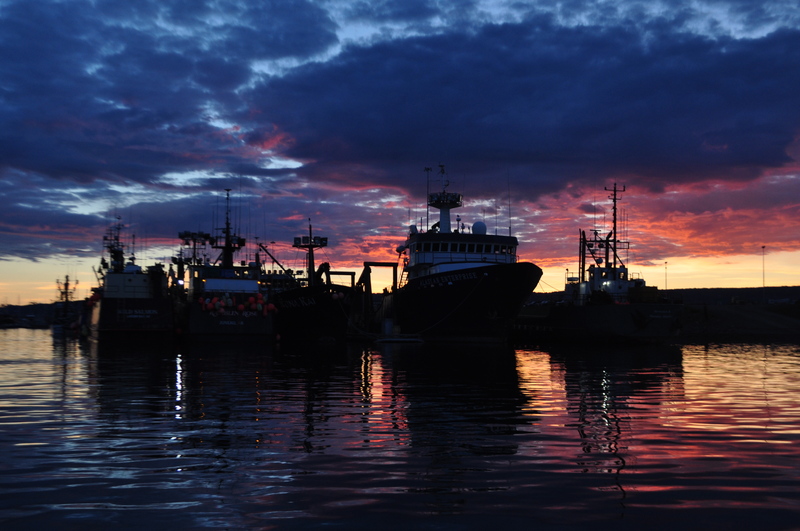 Crab boats silhouetted against the sunset, in the harbor just before midnight. 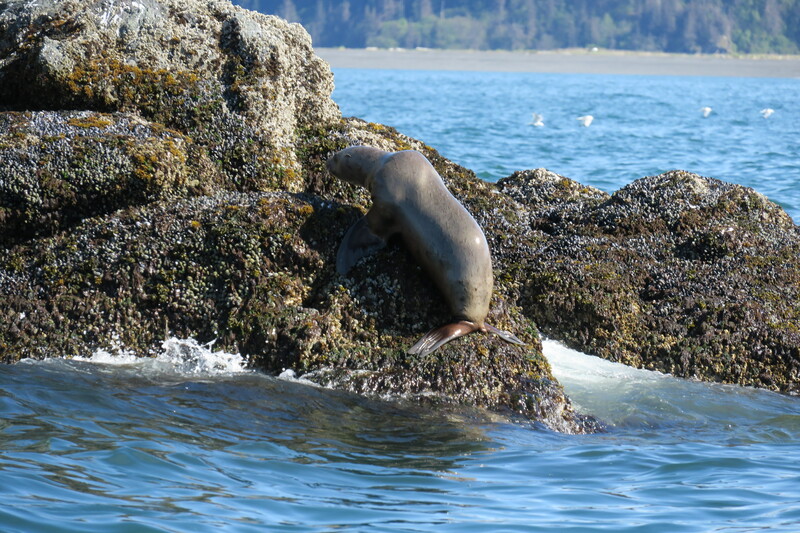 Sea Lion on the rocks, Gull Island Bird Sanctuary – 20 minutes from Homer. 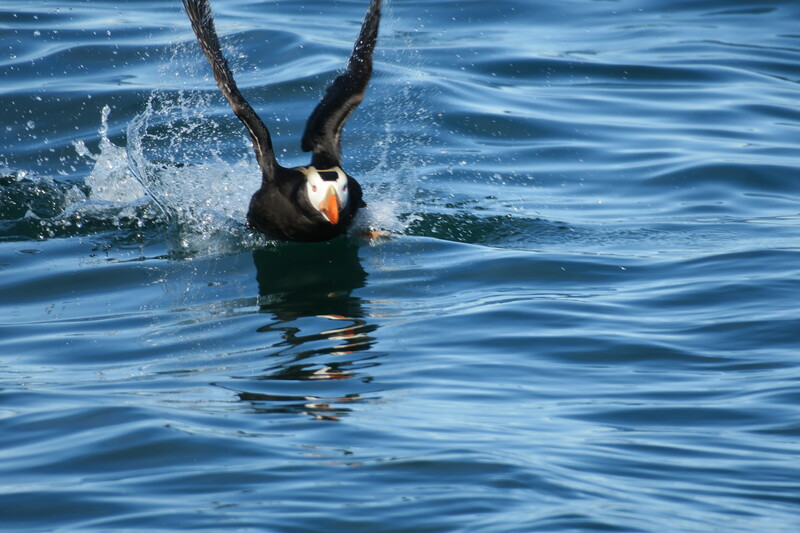 A Tufted Puffin takes off over calm water, near Gull Island Bird Sanctuary. 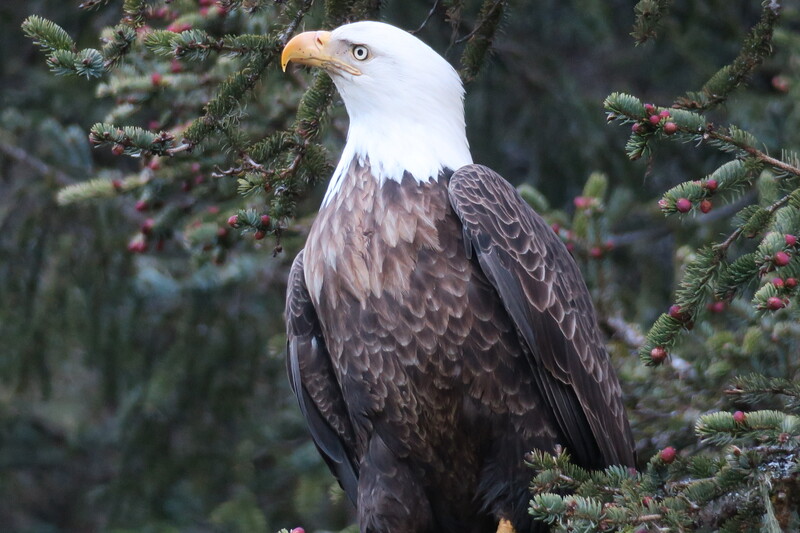 They are returning – more and more every day! 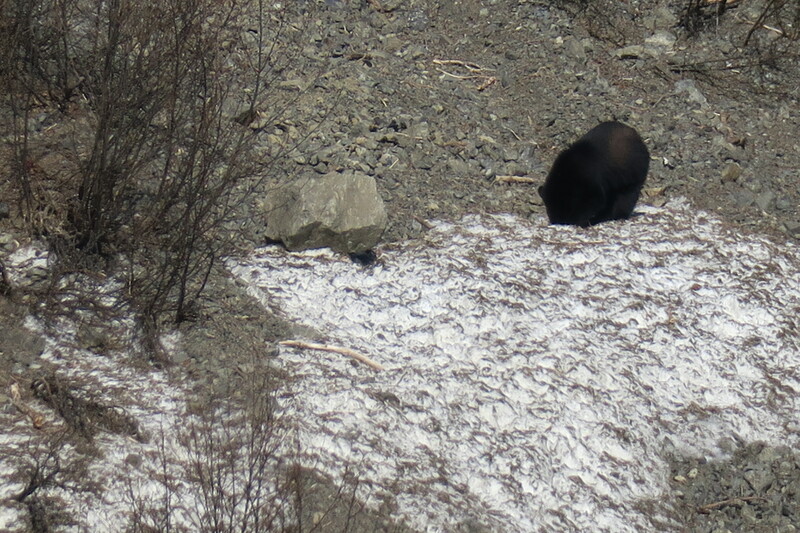 A nice black bear chills out on what’s left of a snow bank in an avalanche slide. He was rolling and clawing in it and obviously enjoying himself. 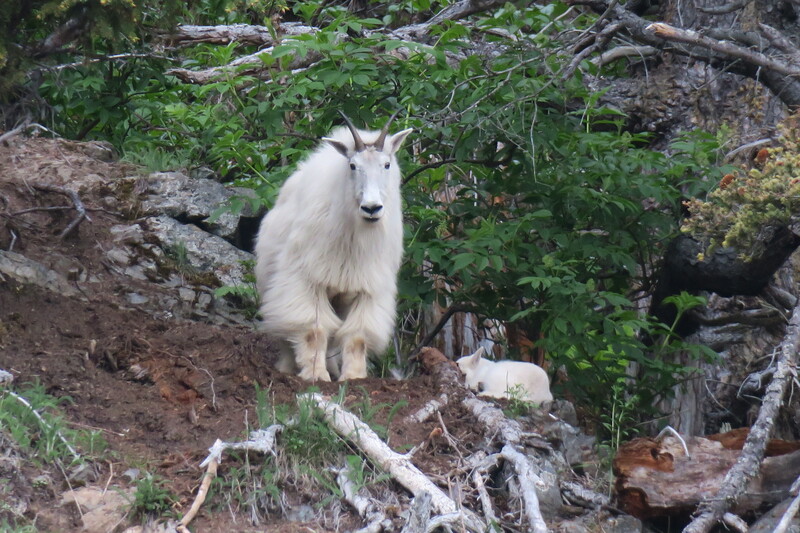 We tried to hike up and get him, but he eluded us. This eagle was fighting with another eagle over turf, and fell upside down into the ocean. 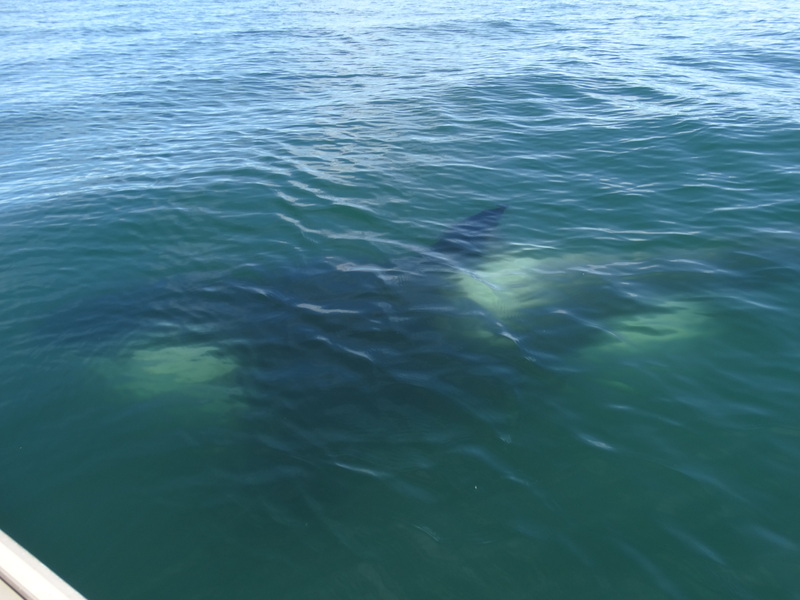 It used it’s wings to swim to shore, shook off like a dog, flushed up into a tree, and then sat there real pretty-like for us. 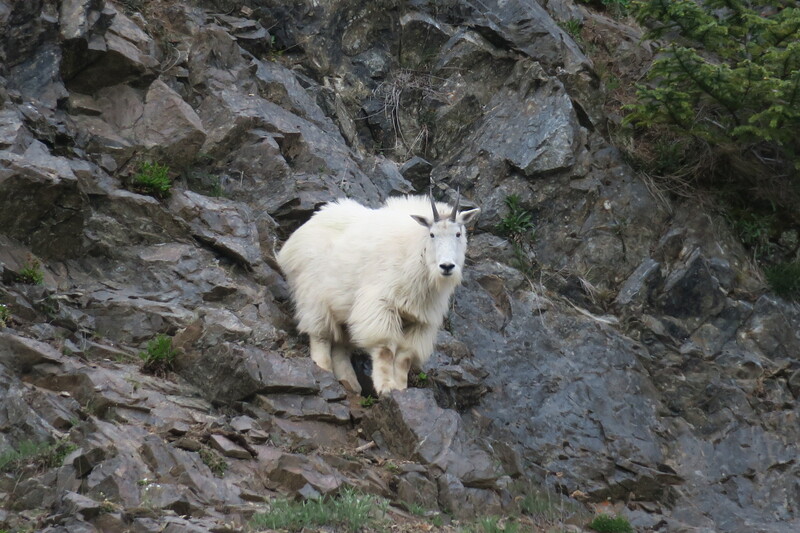 Billy goat on the rock ledge! Nanny being mom, while kid takes a snooze. 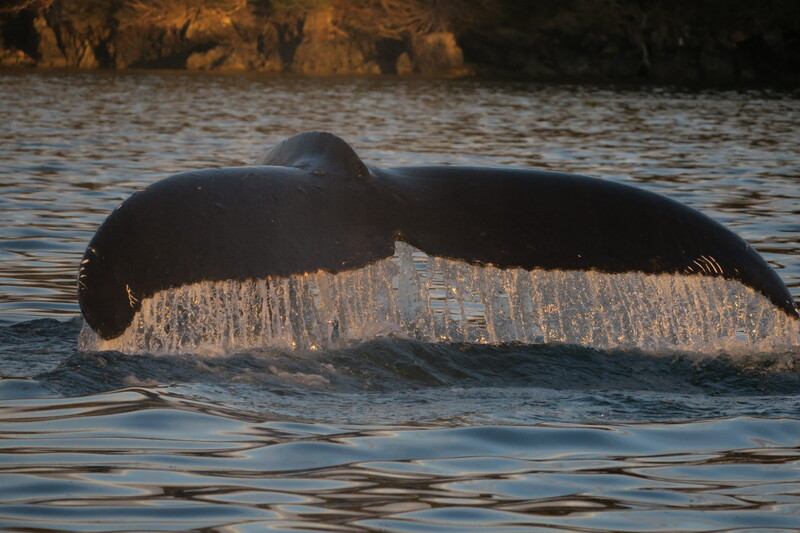 Amazing whale tail with water dripping off, glowing in the sunset. 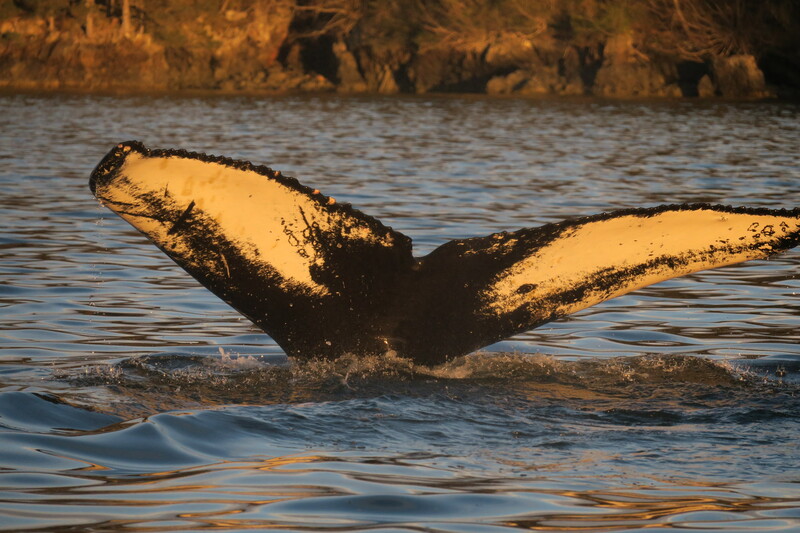 Every whale tail is unique, and here, you can see why by the black and white markings, nicks and notches, barnacles, and so on. This whale entertained us for an hour. I parked my boat in the middle of the action. 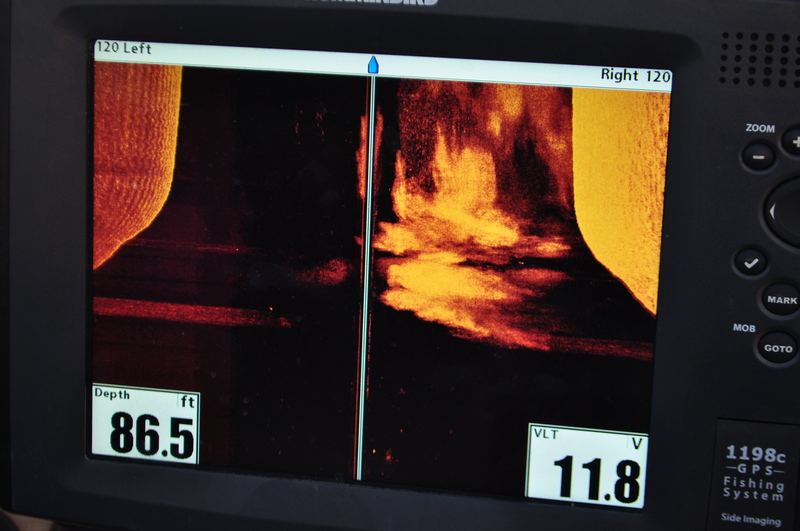 He dove, circled, gathered up baitfish, and lunged to the surface – feeding within yards of my boat. 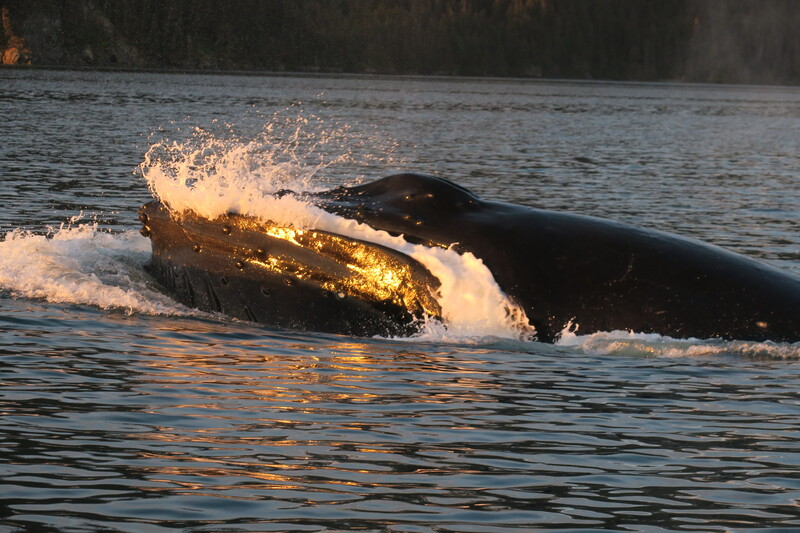 Here, he has just closed his mouth, and water is gushing out, sun reflecting from his baleen. Amazing photo by Janelle. 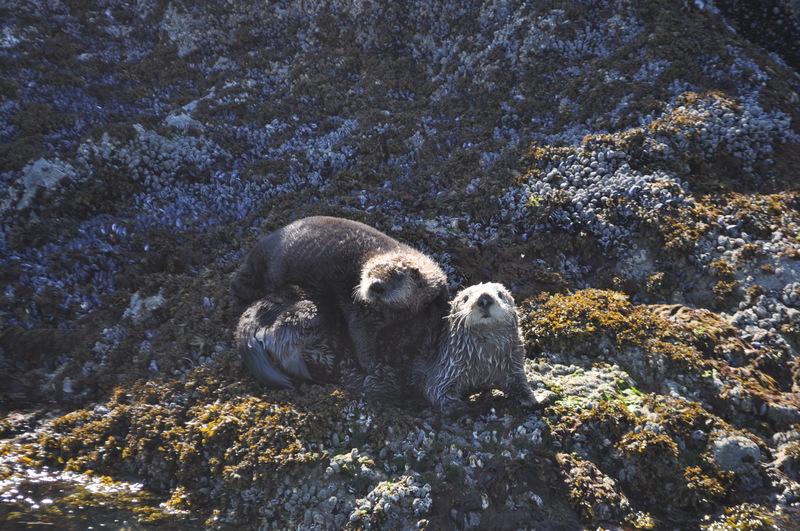 Your photos are incredible, and capture and highlight what amazing adventures await those who seek a unique experience with you in Homer!! WoW!! I’m impressed! Awesome pictures and great adventure. Next time I will stay longer, and enjoy these kind of adventures. 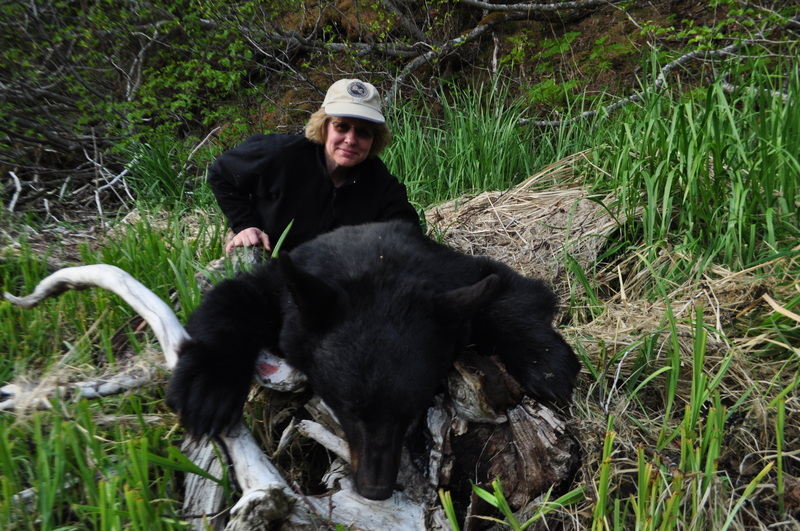 Wonderful guide, Tim, your adventures with your clients is unsurpassed.